I have been thinking of Arlene and her example often in recent months. My body is still recovering from the summer, and I spend a lot of time confined to bed. As I lie in bed and thank my husband for bringing food and water to me, I remember Arlene lying in her recliner, thanking her husband for serving her. She was a godly example to me of gratitude in the midst of illness. Chronic illness is not something I would have chosen, but it has been a gift of grace because it teaches me hard lessons of gratitude. It is hard to humble myself and let others serve me. It is hard to see my husband’s workload increase as he has to do more physical tasks to take care of me each day. But I am learning humility and gratitude through it all, and that is a good thing. I want to raise grateful children, and that starts right here at home, right here in the midst of life with a chronic illness. I need to model a life of gratitude not just on my good days, but on my bad days too. We live in a society where it is easy to feel that we are entitled to good health, a big house, the latest technology, and a life of ease. But we are not entitled to those things. 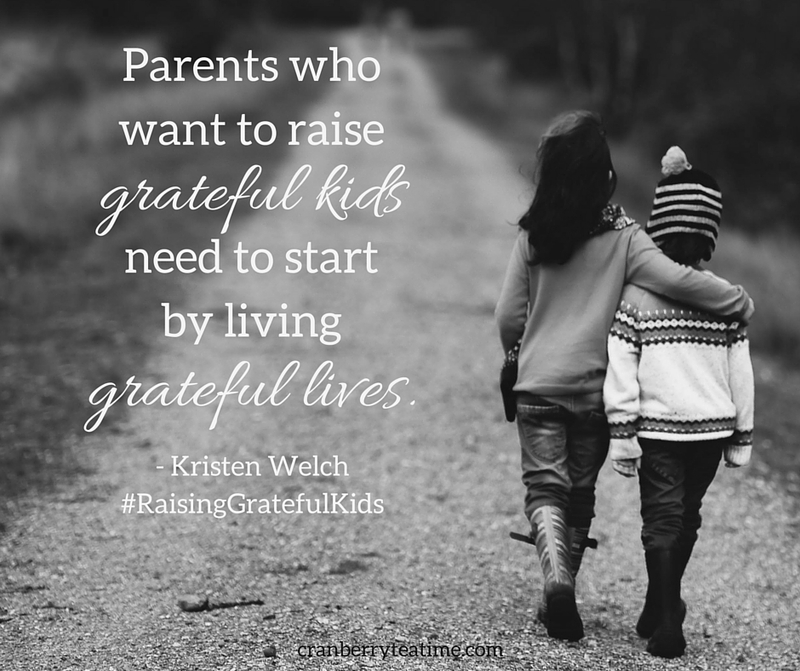 I want to teach my children to see the many blessings they have and to be grateful for what the Lord has given them. 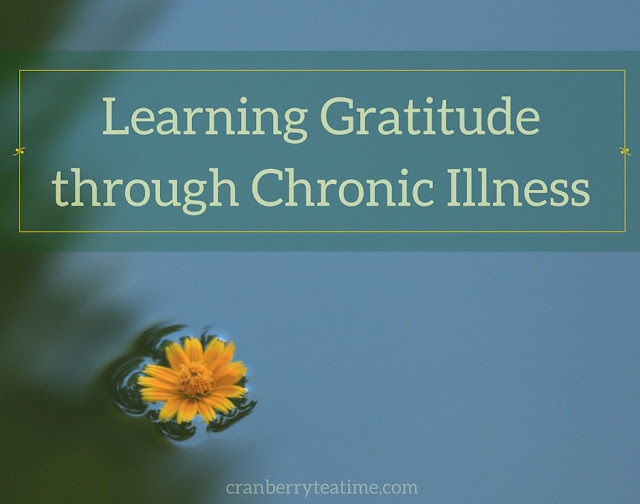 Modeling a grateful life in the midst of chronic illness is one of the ways that I can do that. How are you currently learning or practicing gratitude? Are there hard things in your life that are helping you learn to be thankful? 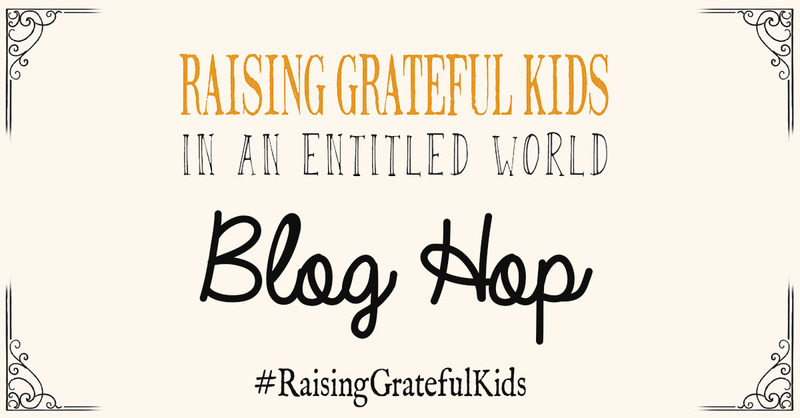 Today I am co-hosting a Raising Grateful Kids blog hop. A group of bloggers has teamed up to share about what gratefulness looks like in our homes. You are welcome to read any or all of the blog posts linked up below! Let's encourage one another to be grateful in whatever circumstances God has placed us, and let us seek to teach our children to be grateful.